Very nice event. 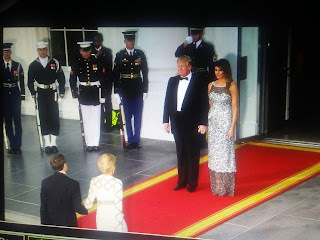 Melania looked stunning. 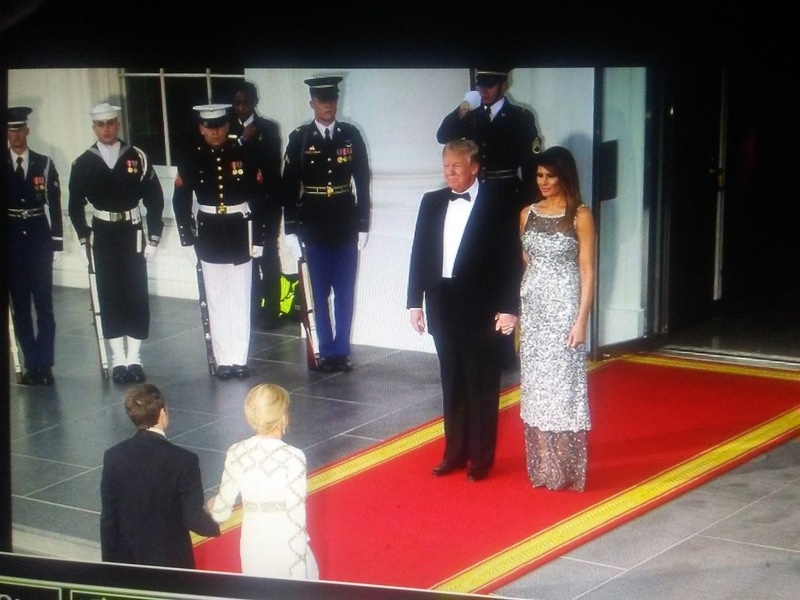 Daily Mail reports President Donald Trump and wife Melania welcomed the French president and first lady to the White House for their first state dinner on Tuesday night as the two leaders toasted to continued warm relations between their countries. In a toast before Tuesday's dinner honoring France, Trump described his wife as 'America's absolutely incredible first lady' before he raised a glass to President Macron and the 'unbreakable friendship' between the US and its oldest ally.